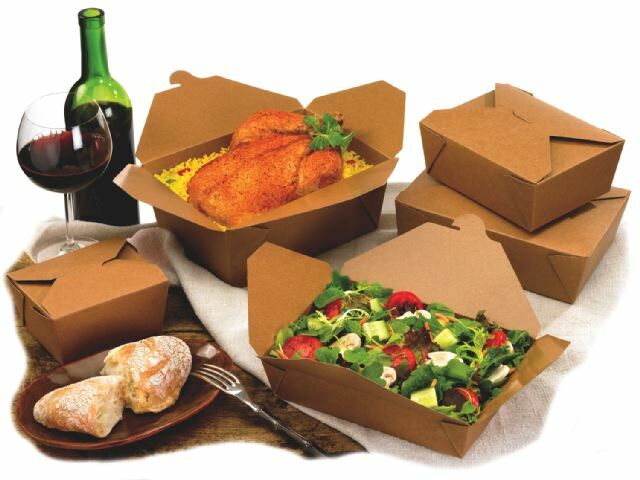 Our line of brown cardboard based take out boxes are on sale. These are good for small salads or meals, depending on your needs. Take a look at the brochure for the exact dimensions, which will give you a better idea on which sizes work for you. Please call and one of our representative will be happy to work with you to find the right sizes for your needs. This entry was posted in News, Specials. Bookmark the permalink. Coffee grounds – use as fertilizer, not compost! Présence au Festival Végane 2017 – le 4 et 5 novembre! Presence at the Vegan Festival 2017 – Nov 4th and 5th!